These units have sealing wire on two sides forming the L shape. 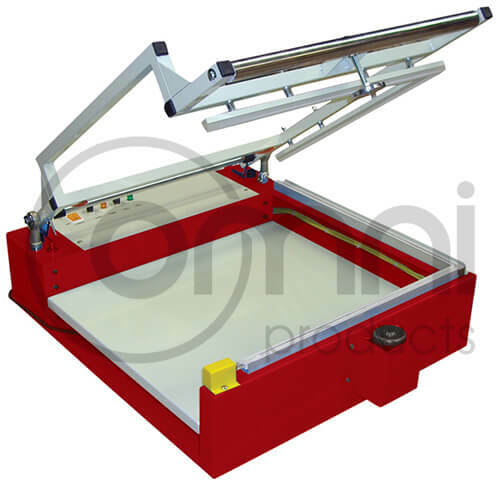 They are designed for use with continuous film so that it seals each item going through it easily. Hand operated but simple to use as it comes with magnetic hold down on L-Bar as well. The adjustable tray models are so that you can use it for deep items as well if needed.